Swollen gums are due to an inflammatory response to disease or bacteria around the teeth. The presence of gum inflammation is used to indicate the severity of conditions such as gingivitis, periodontitis and periodontal disease. When left untreated, mildly swollen gums can progress into severe forms of gum disease resulting in tooth loss. Simply stated, if your gums are puffy, inflamed or enlarged, you can say that your gums are swollen. 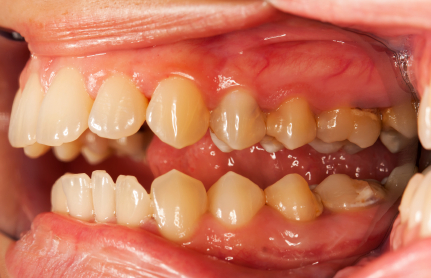 Under most circumstances, this swelling will involve several of the triangle-shaped areas of the gums between the teeth called papillae. 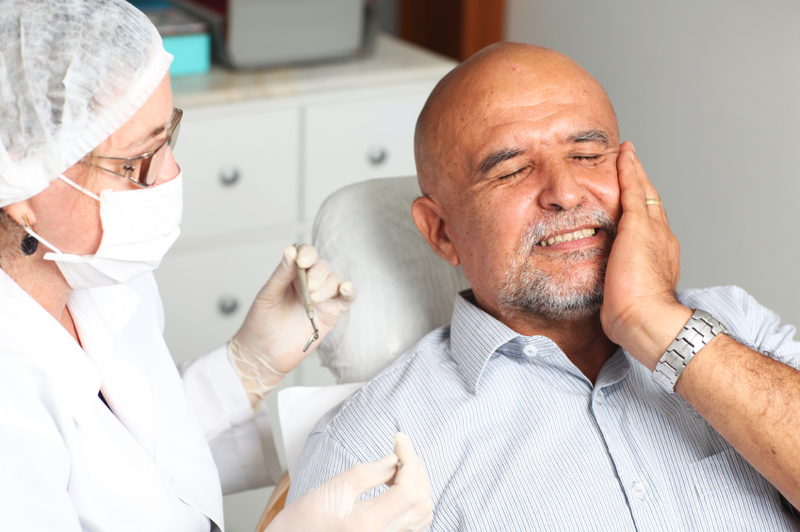 The swelling itself is often a result of an accumulation of white blood cells and fluids that are reacting to irritation and inflammation caused by bacteria and plaque along the gum line. Red, swollen gums that are painful are a classic symptom of active gum disease due to bacterial plaque around the teeth. Sore, swollen gums are your body’s way of getting your attention to let you know that gingivitis has started or is progressing into more severe forms of periodontitis. Here’s some great ways to fight and treat gum disease. Swollen gums can originate from a number of sources including an infection from a virus or fungus, gingivitis, poorly fitting dentures, sensitivity to toothpaste or mouthwash, malnutrition, vitamin C deficiency, pregnancy and bacterial buildup. Swollen gums from braces are usually due to how difficult it is to keep the area thoroughly clean as well as a response to metallic appliances within your mouth. If you have swollen gums around wisdom teeth or erupting teeth, this tends to be a normal part of the eruption process although it could be an indicator of a cyst formation. Red, swollen gums may have a red spot on the gums or generalized redness along the margin of the gum lines near the teeth. Significant, obvious redness is typical of underlying infections that have triggered a severe immune response. The fact that swollen gums present you with a visible symptom makes it rather easy to perform a self-diagnosis. There is usually not much pain associated with swollen gums, so if you are experiencing discomfort from them you should consult with your dentist or doctor immediately. As with most instances of gum disease, swollen gums are often a precursor to or warning sign of a much more serious condition. People that suffer from periodontal disease - the most advanced form of gum disease - have at some point suffered from swollen gums. The good news about this built-in warning system for your body is that it allows you the opportunity to fix things before you suffer from potentially far worse conditions. When swollen gums are left untreated, it can contribute to severe forms of gum disease that may ultimately result in loss of your teeth. Type II Diabetes – Blood sugar levels may be difficult to control if active oral disease is present and vice versa. Cardiovascular Disease – Heart attack, stroke, elevated cholesterol and blood pressure may all have a direct correlation with inflammation associated with gum disease due to the body’s immune response to the presence of bacteria. Oral bacteria may dislodge and travel through the cardiovascular system, placing you at an increased risk for cardiovascular attacks. Smoking – It is important to note that if you are a smoker, you can experience gum disease without swollen, red or bleeding gums. Smokers often have undiagnosed gum disease with severe bone loss due to the effect that the smoking has on their body’s inflammatory response. The best way to prevent swollen gums is by eating a balanced diet and practicing good oral hygiene each and every day. Keeping oral bacteria in balance will prevent the body’s need to respond to infection, omitting the symptom of swollen gums. Eating fresh fruits and vegetables and omitting sugar intake will reduce the bacteria in your mouth that causes swollen gums. Be sure to brush twice each day gently along the gum lines and floss properly to prevent plaque buildup and inflammation. 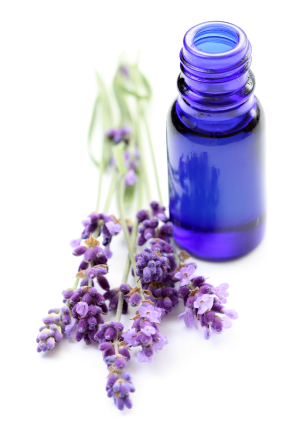 Additional aids such as the use of essential oils can also reduce plaque. You may also be at an increased risk to develop swollen gums if you have oral appliances that you wear such as braces, dentures, partials, bridges or retainers. If the appliance can be removed, do so each day for thorough cleaning to prevent the risk of infection. You may need additional appliances to keep permanent fixtures (such as braces or bridges) clean on a routine basis. Swollen gums can be cured with the right treatment. Below you'll find conventional treatments and home remedies you can try. Your dentist may choose to prescribe fluoride, mouth rinse, or an antibiotic to help get rid of swollen gums. Traditional Brushing and Flossing – The key to brushing and flossing is not rushing and taking enough time to thoroughly remove bacteria from the teeth. Angle the toothbrush toward the gums and gently brush side to side, focusing on two teeth at a time. Spend no less than two minutes twice each day brushing your teeth and gums. When flossing, wrap the floss tightly around the tooth and slide it up and down under the gums several times to remove subgingival plaque. Antiseptic Mouth Rinse – Over-the-counter mouth rinses can alleviate mild gingivitis symptoms. They may also contain alcohol that can sting or dry out the mouth. A dry mouth can be a preferred breeding ground for harmful bacteria. For this reason it is recommended to avoid mouthwash that contains alcohol. Use 100% pure botanical mouthwash instead. Your gums are most likely swollen due to an inflammatory response to infection or bacterial plaque around your teeth. How do I cure swollen gums? To cure swollen, inflamed gums you must keep the area as clean and healthy as possible, reversing the inflammatory response. Proper brushing, flossing, water flossing, nutritional supplements and essential oils are all effective methods to reverse inflammation. Can I get rid of swollen gums naturally? Yes. In fact, all dental professionals recommend that you heal your swollen gums on your own, by cleaning the area effectively and using oral hygiene aids or supplements as needed. I’m pregnant and have swollen gums. Is this normal? It’s common to have gingival inflammation associated with pregnancy or birth control use due to the hormonal balances in your body. If actual gum disease is present there is extra cause for alarm, as untreated gum disease can increase your risk for premature labor and low birth weight infants. My swollen gums bleed easily. Why is this? It hurts to clean around my swollen gums. What should I do? Are there medications that can make my gums appear to be swollen? Yes. Certain medications such as blood pressure medication can cause gum tissue to grow. The tissue appears swollen, but it is very firm. It’s recommended that you do not discontinue your medication but rather discuss this concern with your medical doctor. Kill the cause of swollen gums – click here now. 2Gorman A, Kaye EK, Nunn M, Garcia RI. ; Changes In Body Weight And Adiposity Predict Periodontitis Progression In Men. ; J Dent Res. 2012 Oct;91(10):921-6. Epub 2012 Aug 14. 3Piscoya MD, Ximenes RA, Silva GM, Jamelli SR, Coutinho SB. ; Maternal Periodontitis As A Risk Factor For Prematurity. ;Pediatr Int. 2012 Feb;54(1):68-75. doi: 10.1111/j.1442-200X.2011.03502.x. Epub 2011 Dec 22. 4Bauroth, K., Charles, CH., Mankodi, SM., Simmons, K., Zhao, Q., Kumar, LD. ; The Efficacy Of An Essential Oil Antiseptic Mouthrinse Vs. Dental Floss In Controlling Interproximal Gingivitis. A Comparative Study. ; J Amer Dent Assn. 2003 Mar. Vol. 134 no. 3 359-365. 5Moritis K, Jenkins W, Hefti A, Schmitt P, McGrady M.; A Randomized, Parallel Design Study To Evaluate The Effects Of A Sonicare And A Manual Toothbrush On Plaque And Gingivitis. ; J Clin Dent. 2008;19(2):64-8.